Get more plant-based food options at your school, workplace, or favorite restaurant–and a free lunch from the Herbivorous Butcher for yourself! Are you interested in improving human health, protecting our environment, and creating change for animals? Wholesome Minnesota does all of this through getting food service providers to increase their plant-based options. Come learn how from those who have done it! 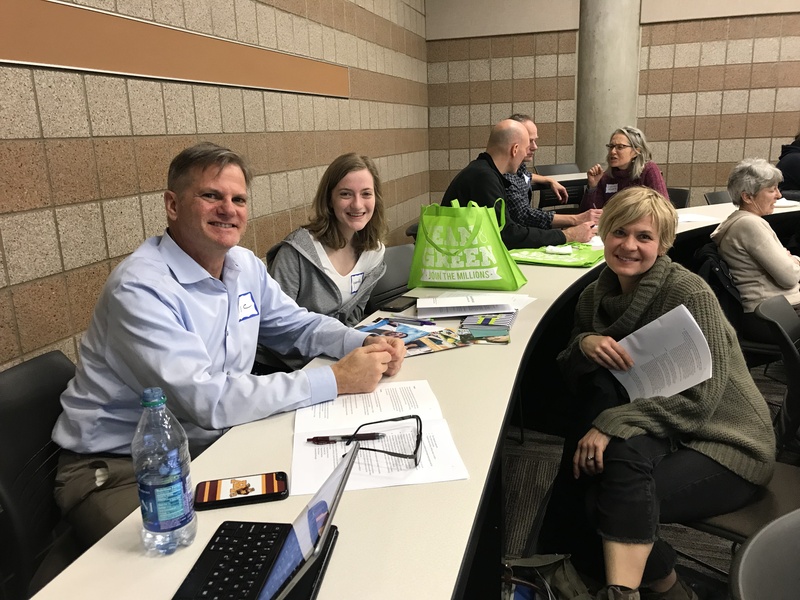 This event is the second in a series of quarterly trainings hosted by The Humane Society of the United States – Minnesota, Compassionate Action for Animals, and Forward Food. This training is intended for those new to Wholesome Minnesota and also for those who already have experience with the program. You’ll get to make your free lunch selection when you register. Please invite your friends who may be interested. This workshop will focus on what to do if you encounter resistance from food providers and how to do outreach with restaurants. connect with fellow advocates through breakout groups and role-playing activities. Julie Knopp, Project Coordinator of Wholesome Minnesota program, will share tips for local advocates based on her experiences working with local advocates to bring plant-based food to schools, workplaces, restaurants, and food service providers, touching on her experience working with the Richfield school district to adopt Meatless Mondays. Laura Matanah, Executive Director of Compassionate Action for Animals, will touch on these same topics. Christine Coughlin, State Director of The Humane Society of the United States – MN, will share about her organization’s work and the Forward Food program. We will be meeting in Hanson Hall in room 1-109. Parking is available in the 19th Avenue lot across the street. You are welcome to bring your child. Please have your child bring a toy or toys they enjoy playing with. We’ll provide paper and crayons. Please preregister. If you have questions about the program, contact Project Coordinator Julie Knopp at wholesome.minnesota@exploreveg.org.